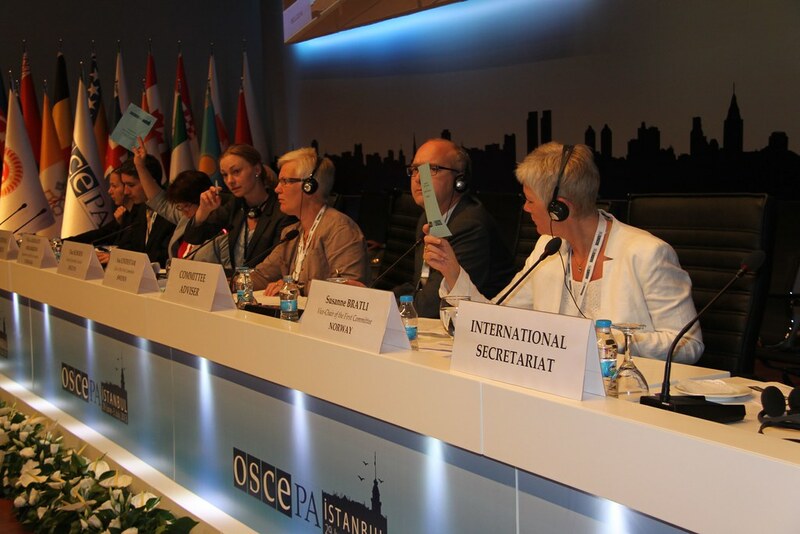 The Parliamentary Assembly of the OSCE is the parliamentary dimension of the Organization for Security and Co-operation in Europe, whose 57 participating States span the geographical area from Vancouver to Vladivostok. The primary task of the 323-member Assembly is to facilitate inter-parliamentary dialogue, an important aspect of the overall effort to meet the challenges of democracy throughout the OSCE area. Its flag is white, similar to OSCE, but two more letters are added (PA) next to original abbreviation letters. New letters are blue in white boxes.